Some of the returning events include Colossus III, The Millionaire Maker, The Seniors Event, The Little One for One Drop, The Monster Stack and The Ladies Championship. To know more about the poker listings of the tournament and the individual prizes, review the full WSOP schedule at the World Series of Poker official website. 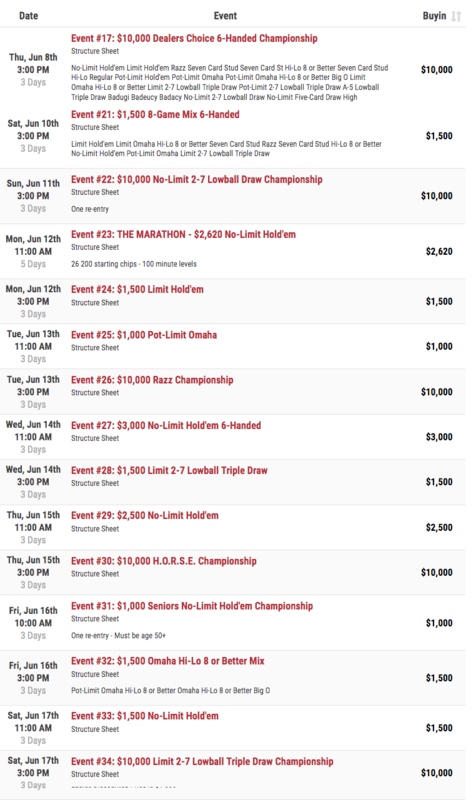 The easiest way to get a seat in the WSOP Main Event is to pony up the $10,000 entry fee. Let's face it; the $10,000 buy-in is a little on the steep side for our bankrolls. That is why most players are attempting to win a seat through WSOP 2017-2018 qualifiers. 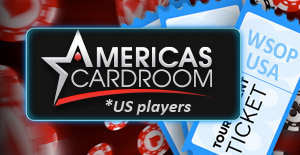 You can find a poker room with a good variety of World Series of Poker Main Event qualifiers. 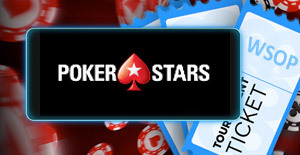 Some of the biggest WSOP qualifier poker sites include 888 Poker and Partypoker. 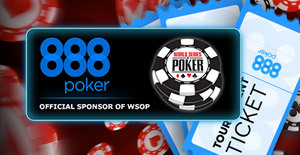 The 888 Poker, the official WSOP online poker partner, is offering tons of satellite tournaments to major poker events. Additionally, any player who qualifies through the site and ends up winning the Main Event will get an extra prize, $10 million. 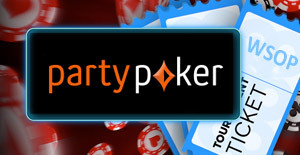 Partypoker has announced that it is looking to send 100 players to play in the WSOP Main Event. The operator offers an amazing selection of WSOP satellites. The buy-ins range from freerolls or Frequent Player Points qualifiers to $1,000 sit and go’s for the players with deeper pockets. Note that when using these poker sites, you will receive your WSOP 2017-2018 entry to the Main Event in cash. It is upon you to buy your ticket to the tournament with the cash from your winnings. The WSOP registration officially opened on 31st March. Players have two ways to register for WSOP events: In-person and online. For in-person registration, players will have to register at Rio All-Suite Hotel and Casino. Players can register online through Bravo Poker Live, the WSOP registration software provider. Players can register online in three ways; credit card (for buy-ins $10,000 and under only), wire transfer, and cashier's check. Note: Payments via wire transfer and cashier's check should be made 14 days prior to event's start date.